The ABB FIA Formula E Championship is visiting South America: On Saturday, January 26, the fully electric racing series will hold round three of the season in Santiago de Chile. After Daniel Abt and Lucas di Grassi, the reigning Formula E teams’ champions, scored points in all races of the 2018/2019 season held to date, the drivers of the Audi Sport ABT Schaeffler factory team are now determined to mount the podium. 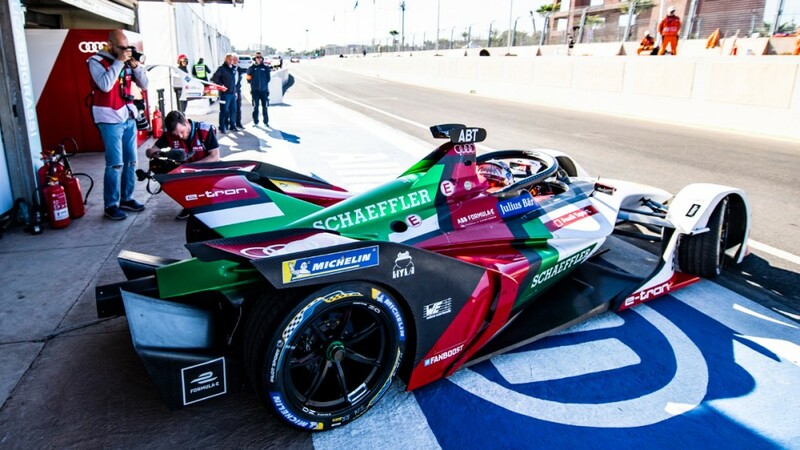 Robin Frijns and Sam Bird from Team Envision Virgin Racing, whose Audi e-tron FE05 is equipped with Schaeffler technology as well, most recently clinched second and third positions in Marrakesh. After 2018, Formula E is racing in Santiago de Chile for the second time, but now on a new track: The 2,348-kilometer circuit near the city center is located at Parque O’Higgins. The temporary track with its long straights, hairpin turns and chicanes loops around the Movistar Arena. The Formula E round in Chile’s capital gives Lucas di Grassi, 90the 2016/2017 Formula E champion and 2017/2018 Formula E teams’ champion, an additional motivation boost. “Santiago de Chile is only a four-hour flight away from my hometown, São Paulo, so the race is kind of a home round for me,” says the Brazilian. Schaeffler is one of the co-founders and one of the most notable and successful players in Formula E. In 2016/2017, Team Audi Sport ABT Schaeffler won the drivers’ title (Lucas di Grassi) and in 2017/2018, the teams’ title (Lucas di Grassi/Daniel Abt). Schaeffler has been contributing its know-how to the development of the powertrain since 2015. In doing so, the company demonstrates its expertise in forward-thinking technologies and presents ideas for sustainable mobility for tomorrow in the innovative electric racing series as well. The new Audi e-tron FE05 was meticulously developed by Audi Sport and Schaeffler with the new technical and strategic challenges in mind. The motor-generator unit named Audi Schaeffler MGU03, the centerpiece of the Audi e-tron FE05, was jointly developed by the two technology partners. 95 percent of all powertrain components are new, having resulted in weight savings of ten percent. Two Audi e-tron FE05 cars are fielded by the Audi Sport ABT Schaeffler factory team for Lucas di Grassi and Daniel Abt and, in 2018/2019, two by the recently added Envision Virgin Racing customer team with drivers Sam Bird and Robin Frijns.